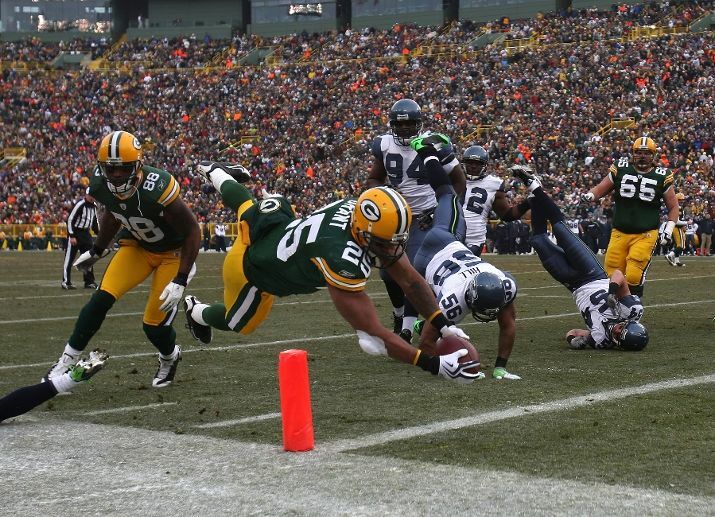 Packers vs Seahawks Postgame « Roll Out the Quevedo! The Packers are flying into the playoffs! Hope everyone had a wonderful Christmas weekend. I was all over the place and never had time to throw a pregame post together, but on the way up to the game, I told my brother-in-law 38-3, so I was in the ballpark. 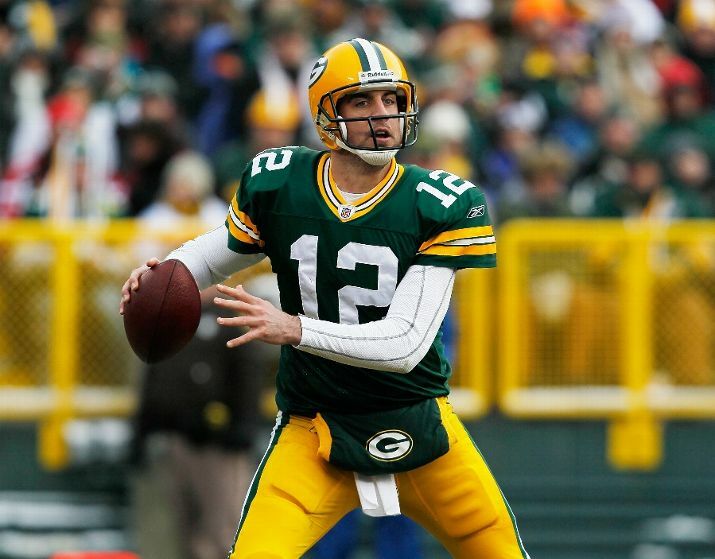 Quite honestly, I would have to say that the Packers are the hottest team in the NFC right now. They’ve won 6 of 7, and are playing good football. If you look at the other teams in the NFC, the Saints and Vikings are going the wrong way, the Eagles have been playing well, but they almost tanked it at home Sunday, the Cowboys have won two games in a row (and the win in NO doesn’t look so great anymore), and the Cardinals haven’t went on a streak all season. I’m liking the Packers chances. Also congrats to Rodgers, Woodson and Collins on being selected to the Pro Bowl. We all feel Matthews got screwed, but he could still make it. How Orakpo got in over Matthews is beyond me. Their stats are almost the same, but GB is 2nd in total defense and 9th in scoring defense. Washington is 11th and 16th. Must be the high draft choice. Also, how does the #1 run defense in the NFL have no one from the DL or LB crew on the roster? Just wondering. Hopefully, none of this matters, and no Packers play in the Pro Bowl. 1) Seattle is an embarrassment. I give kudos to Tampa Bay and Cleveland. They are getting better as the season goes along and have shown a tremendous amount of improvement. Seattle has gotten worse. Much worse. Worse than Detroit worse. We really didn’t learn much this week about the Packers. 2) The DB who shall not be named got toasted again, then gets a pick and runs his mouth after the game. He basically said “many more to come.” The word of the day is “humility.” Look it up DB WSNBN. He who shall not be named deserves a pic this week! 3) How about the K WSNBN? A perfect day. Now do it when it matters, not when it’s 38-3. In all seriousness, hopefully this gets him going. 4) Ryan Grant is over 1200 yards, is averaging 4.4 yds per carry and has 10 touchdowns. Pretty solid body of work, don’t you think? 5) After all the crap this season, isn’t it nice to be a Packers fan instead of a Vikings fan right now? We’re excited for the playoffs to start and feel we can make some noise. Vikings fans might as well compare it to a root canal. Two words for you…He he.